The first two nights in Cornwall were staying at a luxury dog friendly hotel, sharing the benefits of staying in a hotel with dogs. Now it's time to share why we love self catering accommodation with dogs and why it's our preference when travelling with Sev and Lily. The next part of the trip to Cornwall took us near Truro, to a Dog friendly luxury holiday to The Valley Cornwall. A dog friendly self catering resort, in such a great location with beautiful cottages and villas. A real countryside retreat that feels home away from home. 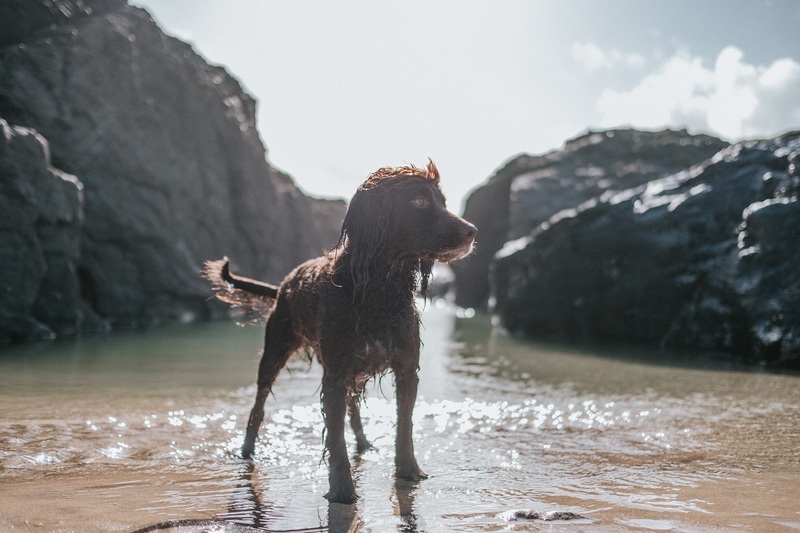 Having a beautiful cottage that is also dog friendly, being able to explore Cornwall together. 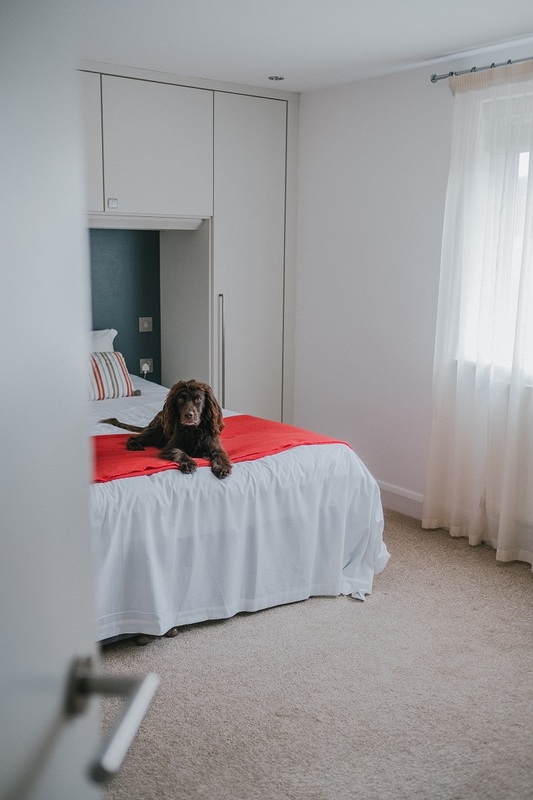 The five star properties have everything that's needed for a Cornwall holiday with dogs, beautiful decor that felt light and airy but ever so homely and cosy too. 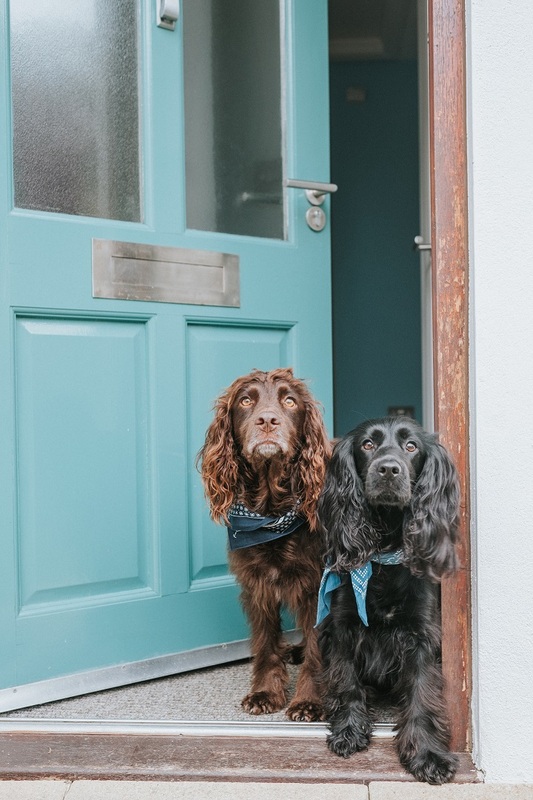 The Gallery Villa is a lovely place to stay for a dog friendly luxury holiday to The Valley Cornwall for a week, that Sev and Lily loved too. The two bedroom home was split between 3 levels, with an en-suite bathroom, as well as a main bathroom with a bath. The living room was overlooked by the gorgeous kitchen, with table to dine with friends and family and even a balcony too- perfect for the warmer months. The dogs were welcomed with a bed, blanket and towels- great for soggy spaniels after a day on the beach. There was also a great comprehensive guide for dogs, including dog friendly beaches in Cornwall. A small garden area is perfect just outside the door, and there are close by walks around the site to explore too. 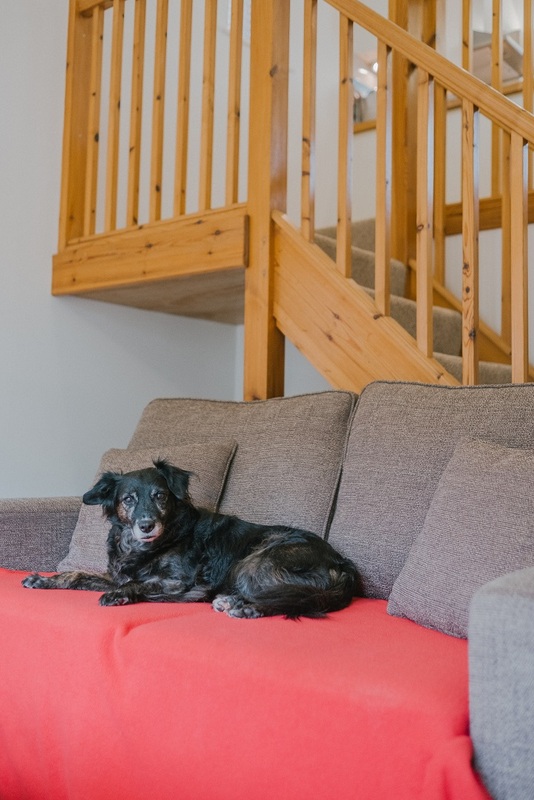 Staying at a self catering property makes for a wonderful trip with dogs, being able to come and go as we please and feel comfortable while the dogs settle easier in a more homely environment. Knowing it's possible to pop home when we need to, save money on eating [and drinking!] and allowing the dogs to feel at at home and more relaxed with exploring their holiday cottage. Truro is a great area for visiting a large amount of Cornwall within 30-40mins. Loving the North coast, we spent a lot of time at our favourite spots and beaches, as well visiting new places closer to The Valley Cornwall. 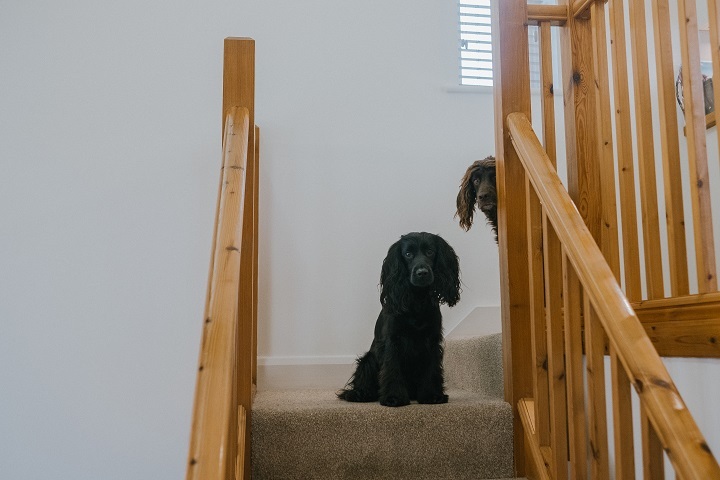 Having a self catering dog friendly cottage is perfect to make the dogs feel relaxed and stick to their usual routine, which is really important for Sev & Lily. Having a cosy home after a day on the beach where the dogs can fully relax really helps us all have the best time. 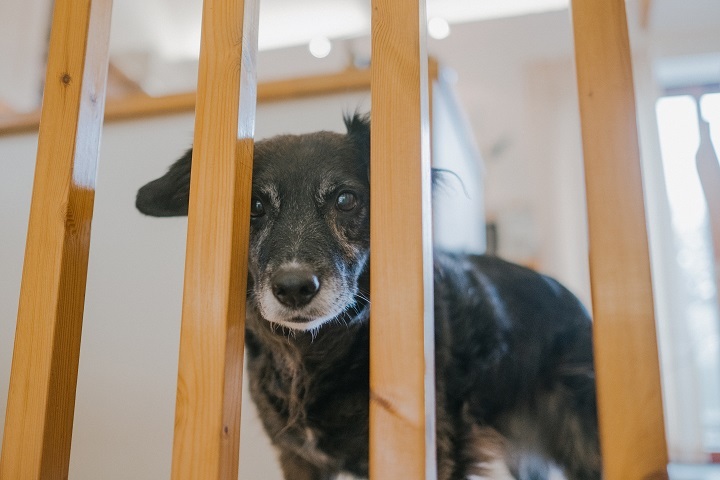 Use the amazing kitchen to cook up a feast and drink prosecco while the dogs enjoy a treat without worrying about anyone else or other dogs. 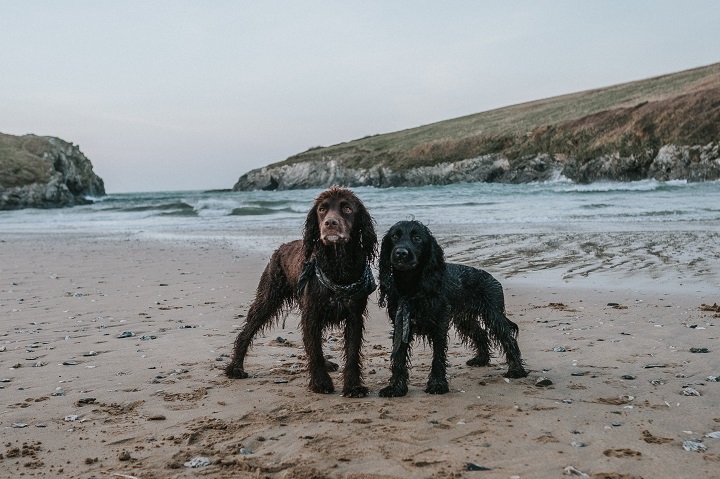 There are so many dog friendly beaches in Cornwall, visiting in low season is even better for enjoying more [without dog ban restrictions]. 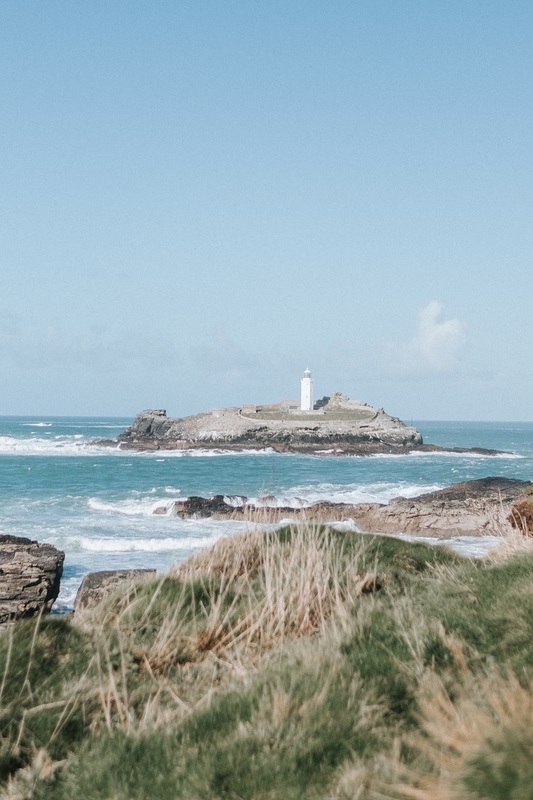 This trip we headed to Godrevy, a National Trust beach not explored on previous trips, a stunning long and sandy beach with a lighthouse, you can even catch seals with a walk across the coastline. Staying at The Valley Cornwall for a week is a lot more affordable than hotels in the area, however it still is luxury accommodation. Having the whole home to yourself, saving money to stay even longer and enjoy even more of Cornwall. 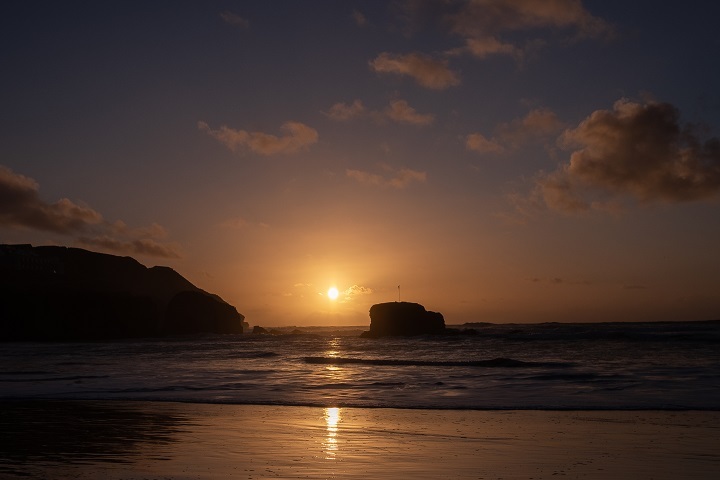 Lusty Glaze is a gorgeous dog friendly beach and beautiful restaurant. Welcoming the furry ones with water bowls and beds, whilst the humans can dine of great food overlooking the gorgeous beach. 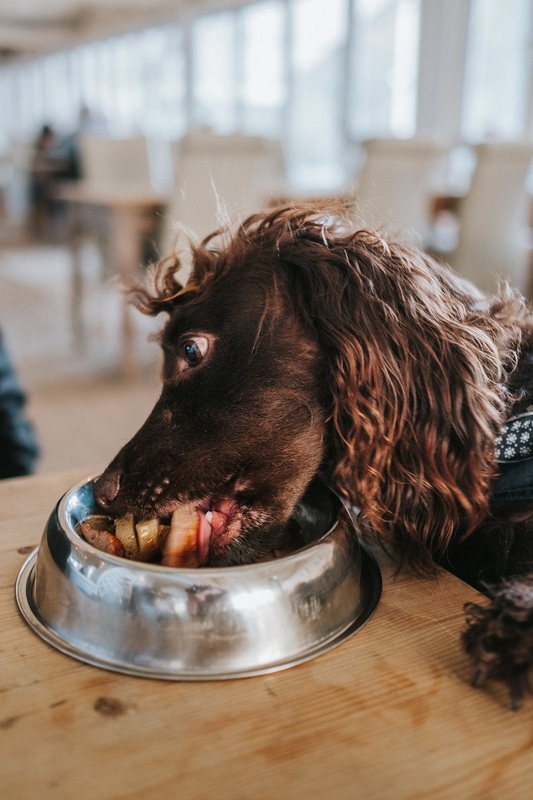 Every lunch time at Lusty Glaze you can order a doggy dinner for your pooch for just £3, which goes straight to a local pet charity. This scrumptious feast can be ordered along with the human menu, and is prepared just for four legged friends. There are so many lovely things that make Cornwall dog friendly, and being able to grab an ice cream, for both human & hound is one of them. 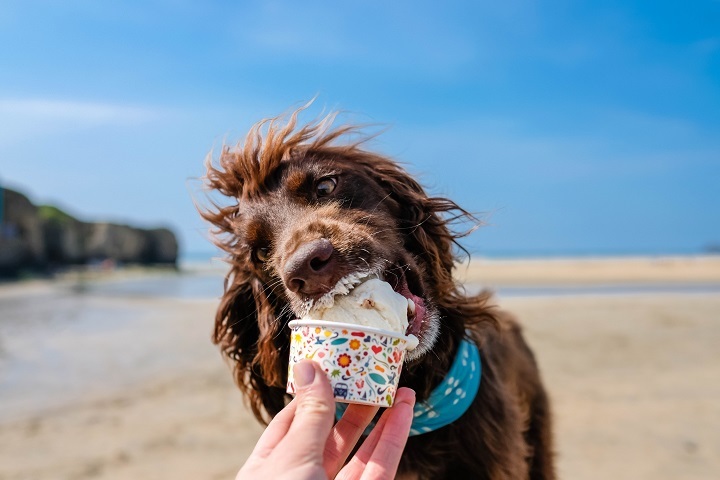 The Pavilion in Peranporth offer delicious ice creams with an array of flavours, even better the dog can have one too, with pork, chicken and beef on the menu. 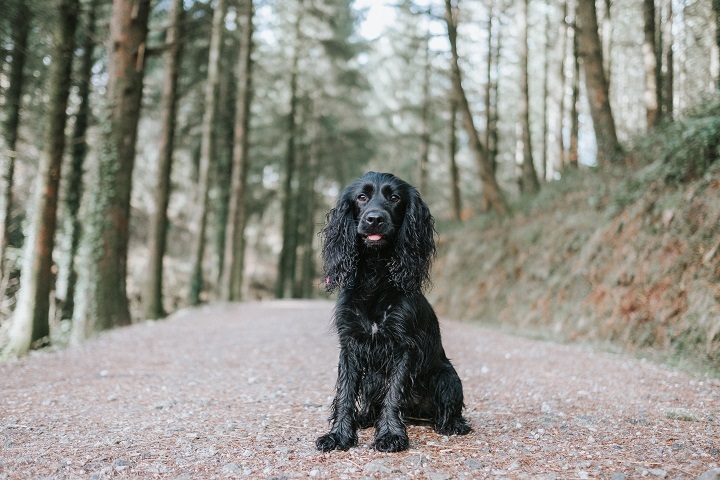 Although Cornwall has the best dog friendly beaches, there are some gorgeous woodlands and forests to explore too. This trip took us to the stunning Cardinham Woods, with different routes and paths, a sweet tea room, easy parking, streams to paddle in and lots of sniffs for the dogs.